William Optics FLT98 – flattener test – part 1. 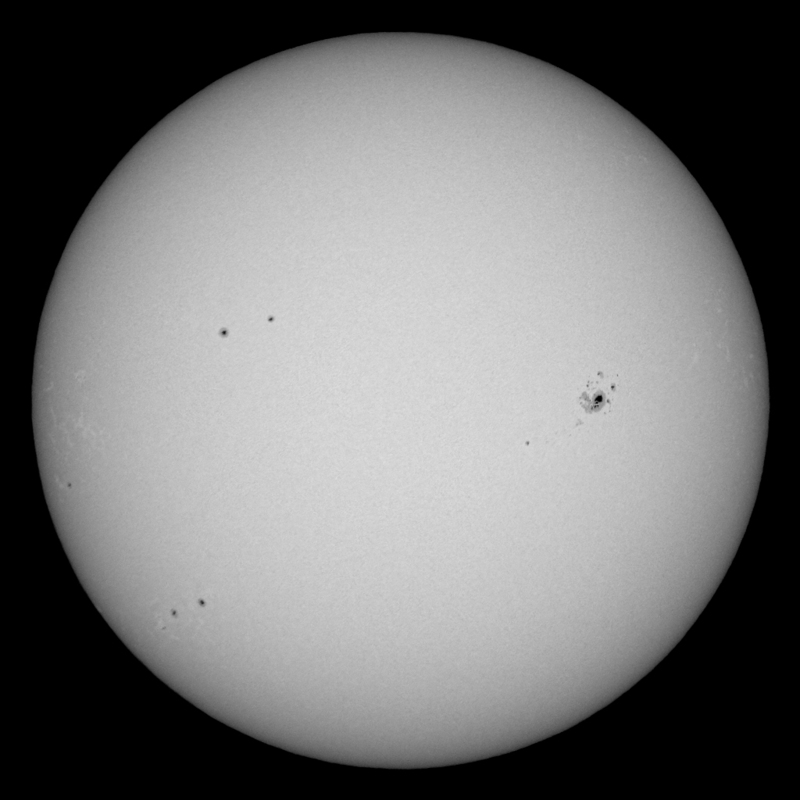 Notwithstanding the poor seeing and occasional clouds I wanted to try my new Lunt white light solar wedge. 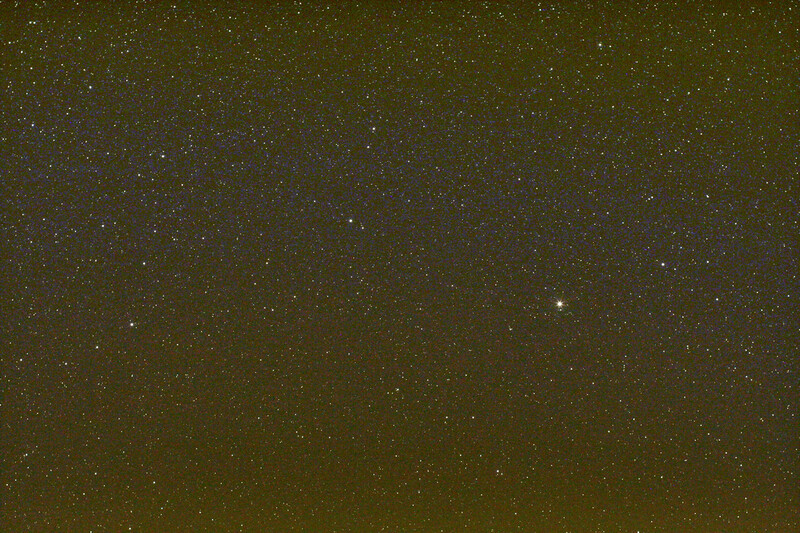 This is a single shot with a William Optics FLT98 (cf), Televue 2x PowerMate, and Canon EOS 60D. ISO200, 1/2500sec. Processed in ImagesPlus and Paint Shop Pro. 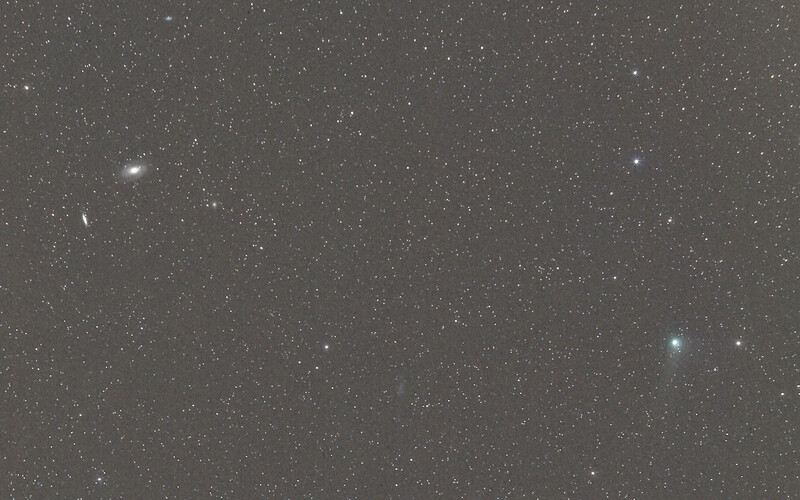 Comet C/2009 P1 (Garradd), 2012-03-21. After a visit to a local school (30 minute talks about Venus, Jupiter & Mars for 120 children and their parents) I returned to the observatory for an imaging session of comet Garradd. Skies were clear but a bit hazy, which became apparent when looking at the first photo’s; bright stars with nice halo’s. Garradd was passing by M81 and M82, so I used the 135m to frame both the comet and the galaxies. I also tested the new Vixen Polarie star tracker. This very compact travel mount is shaped like a camera and runs on 2 x AA batteries or an USB power supply. 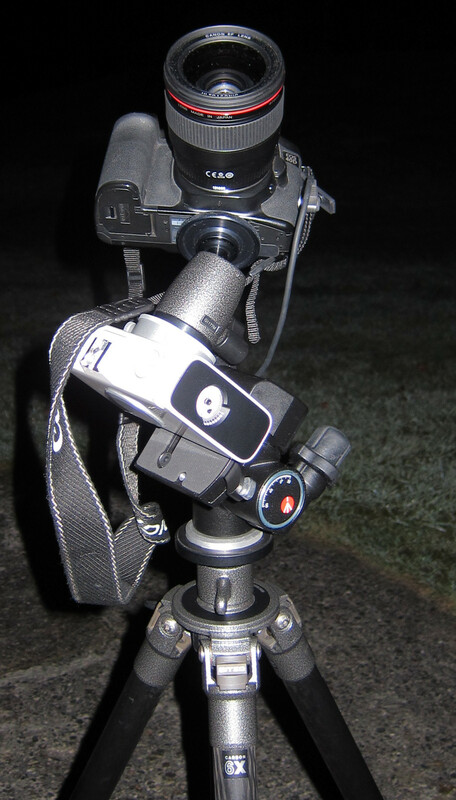 A Manfrotto 410 geared head was used for mounting the Polarie and a Gitzo ballhead with Canon EOS 40D and EF 35/1.4mm was attached to the Polarie mounting block. I did a rough polar alignment by pointing the Polarie north and setting the correct latitude using the built-in tilt meter. Polaris could now be seen through the polar sight hole. No further polar alignment was done (a polar scope is optional). A 1m 45s test shot of Bootes does not show any trailing. Nice! Shortly after purchasing the William Optics GT81 FD, the focuser started to slip when used with a camera or heavy eyepieces. Adjusting the tension fixed that problem at first, but over time it became worse. Time to start looking for a replacement focuser! I had upgraded my FLT98 with a FeatherTouch focuser a year ago, so the most obvious choice would be to contact Starlight Instruments to find out if an adapter was available for the GT81. Indeed, they had one that was compatible; Wayne informed me that the adapter for GSO/AT RC telescopes is the same thread as the GT81. So what focuser to get? I chose the new lightweight focuser FTF2020 BCR-LW and added a 3.75″ riser. The FTF2020 focuser has a shorter drawtube compared to the stock focuser and the body is shorter as well, so you need a riser to be able to reach focus. With the 3.75″ riser, a TV reducer and Canon EOS will reach focus. A 2″ mirror and eyepiece will reach focus as well. For prime focus photography you need to extend even more. Total weight of the GT81 with the 3.75″ riser and FTF2020 BCR-LW is only 2.2kg (4.85lbs)!